Photos from the 8th-Grade Field Trip to Washington, D.C. It may be spring break, but there’s no break in the action for students at Alain Locke. 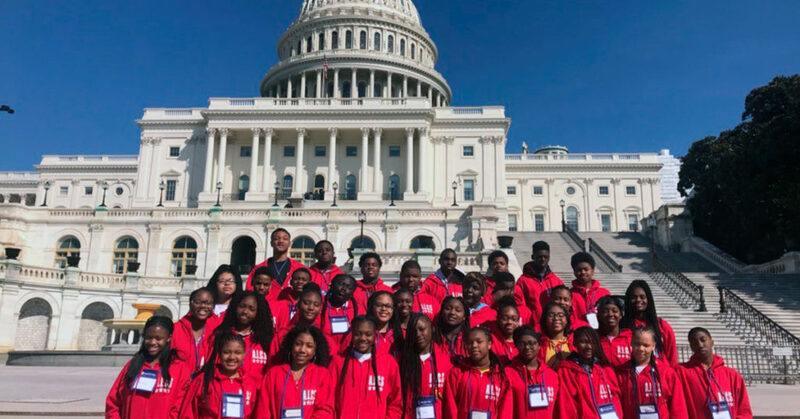 Eighth-graders ventured all the way to Washington, D.C. last week for a firsthand look at our nation’s capital. Students had an awesome time visiting the Washington Monument, Martin Luther King Jr. Memorial and much more. Check out the photos from our trip below (click thumbnails to enlarge). This entry was posted in General News and tagged Martin Luther King Jr. Memorial, Washington D.C., Washington Monument on March 28, 2019 by Tom Butala.